Until 9/11 the day known as Veteran’s Day in the United States, where I was born and raised, was just a day. Nothing particularly elaborate or widespread. You knew it was a federal holiday by the absence of mail and the dutiful coverage by the media of ceremonies here and there. But really, it was not a big deal. The attack on the Twin Towers in NYC changed that a little bit but it was still hit and miss regardless of the impression given by the media down there. When I came to Canada, I discovered the true origins of this day*, and the fact that in some countries around the world – Canada being one of them – Remembrance Day’s meaning is kinda like the Grinch’s observation about Christmas – “maybe, perhaps, means a little bit more”. 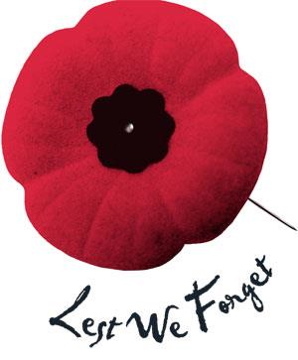 Life doesn’t come to a complete stop for Remembrance Day in Canada. In fact, it’s not even a statutory federal holiday. But it’s important. Not because – as some people (politicians especially) would like us to believe – the fallen soldiers of our too numerous wars died defending “freedom”. Soldiers die because politicians fail. They fail to negotiate, compromise and find equitable resolutions to vexing problems. They fail to think in terms of years and decades out as opposed to between now and the next election. They fail to understand that war’s human cost is seldom worth whatever short-term solution was gained. And finally, they fail to do what they were actually elected to do, safe-guard our freedoms themselves through their words and deeds. Every time a soldier dies, somewhere a politician’s karma gets deservedly more muddy. Remembrance Day is important because we remember how awful war is by recalling the bright futures that never were. The young men and women who didn’t come home to family and friends. The waste. The horror. The destruction. The fact that freedom wasn’t democratically defended and promoted but was used like a blunt instrument on the landscape, lives, hopes and dreams of people we don’t know. Whose strangeness to us made it “okay” to destroy their homes and kill their children. And we should remember these things. It’s a painful and humbling reminder that we haven’t got it all figured out. That we are works in progress, and at times, our progress hasn’t been for the greater good but for greed, power and the right of the conqueror to force his will on the unwilling. My father and my uncles fought in World War II and in Korea. It changed them, or so I am told. I only knew the men forged by war not the men they were prior to war. I recognize what a great loss that was to me and for them. I wear my poppy in the weeks leading up to Remembrance Day like many, many others. I observe the day as do most of the people I know. But I don’t think the day was ever meant to be about honouring as much as it was meant to be about remembering what was lost. Who was lost. And why we shouldn’t let war be the habit it has become. *It’s amazing what you can learn about history when you leave the United States, where history is told in a way that is good for Americans and shorter on fact than a Texas social studies curriculum guide. In Another Country are You an Immigrant or an Expat? I’ve referred to myself as both expat and immigrant but think that perhaps I have been mistaken about the “expat” self-reference. An expat is someone who still largely identifies with his/her country of origin. It is who they are. Even with permanent residence/green card status or even dual citizenship, the land of birth still trumps. But an immigrant is someone who wishes to assimilate and take on the new country as his/her identifier. They acquire first residence and then the second citizenship with an eye toward becoming a part of the new land. In the United States, people bemoan “immigrants” who do not seem to want to be Americans. I would argue that this so-called immigrants are really expats who’ve come to America for political, economic, career or education reasons but who see themselves primarily as citizens of their native land. In that way, how are they different from Americans who pursue work opportunities in other countries for short or long periods of time but consider themselves always American – not bothering to learn the language or make friends locally and living in enclaves of other Americans? The answer, of course, is that they are not different. But it is a very white versus not so much kind of prejudice that is not attractive or admitted to. Brits, Americans, Europeans, Australians and Japanese refer to themselves as expats but consider Eastern Europeans, Asians, Latinos and Africans immigrants. In my opinion, if one leaves his/her nation of origin to settle permanently in another country that person is an immigrant. Even if he/she stubbornly refuses to mix, learn local customs and language and generally remains an elitist snob about the whole thing. When you leave to live forever somewhere else, you have emigrated and are therefore an immigrant. This state of being is further compounded by marrying locally, producing children and obtaining legal status up to but not always including dual citizenship. Expat, really, has this sort of British colonial taint to it. It reminds me of stories of colonials living in India or Africa during the days of Queen Victoria and later under King Edward. Privileged white people enjoying semi-royal lifestyles at the expense of a local population who was considered second-class and expected to appreciate servitude in exchange for pathetic monetary “reward”. All quite Kipling minus the adventure. It’s important, I think, to know who you are. Expat or immigrant. It informs others as much as it forms your purpose. Given that, it’s time for me to drop the expat and go full on immigrant. My ancestors left Sweden and Ireland to become Americans. They were proud, I am sure, of their heritage but I highly doubt any of them referred to themselves as hyphens. Irish-Americans or Swedish-Americans. They were just Americans (although before the Civil War, I guess that state would have trumped country). Therefore, I am a Canadian in the making. No hyphen. When I was about the age of my daughter, I saw a television movie called The Man Without a Country with starring the late Cliff Robertson. A deadly dull teleplay in retrospect and I suspect wasn’t incredibly thrilling at the time, but it appealed and appalled my little girl sense of fairness in a way that I can still vividly recall today. Maliciously, the sentencing judge grants the young man’s wish and effectively renders him stateless by ordering that he spend the rest of his days as a prisoner on various Navy vessels, forever deprived of his homeland by word or deed. I remember the last scene of the movie vividly. A young officer finds the dying Nolan in a cabin decked out in United States flags, maps and other symbolism. He grants the old man the dying wish of hearing about “home”. It was very sad but my ten-year old self as incensed by the cruelty of the sentence. One impetuous outburst during a treason trial that was more of a political witch hunt (though at the time I didn’t know enough about Burr to really understand the politics in play) and this man was banished from his home while people who bore more guilt were not. I didn’t know the story was a fiction or that the fiction was a propaganda tool to ignite Union sentiment at a time with the United States was more a collection of states than a country. I just know that it wasn’t fair. Regardless of where a person choose to live or the criticism he/she might have for his/her government, depriving someone of the place where they were born as punishment was wrong. Because I am currently in the process of becoming a Canadian citizen, the idea of “home” is much on my mind. How does one have two homes? When push comes to shove, where lies loyalty? And then the news of Eduardo Saverin broke via the recent IPO unveiling of Facebook and the fact that Mr. Saverin, as a co-founder, stands to collect billions more in profit. 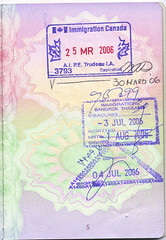 Saverin is a Brasilian who became a U.S. citizen when as a child – probably through his parents much as Dee will attain Canadian citizenship through my application. With news of the IPO, it came to light that Saverin, who hasn’t lived in the U.S. in several years and who has obtained citizenship in Singapore where he lives, had renounced this U.S. citizenship. For purposes of avoiding taxes was the media assumption though as any ex-pat knows, relinquishing citizenship can carry a hefty exit tax for those whose assets exceed specified amounts. Given the bitter and unrelentingly negative press about ex-pats (American citizens who live abroad) of late, the outcry in the comment sections of news websites was predictably jingoistic and devoid of much by way of actual facts. As if anyone who has ever left the U.S. has only done so because they are dodgers of some sort with a sketchy grasp of loyalty. Most of what has been written lately about those of us who make our homes outside the United States has been decidedly scathing and rather loose with the interpretations of why some of us seek citizenship in other places, often choose to never return and sometimes relinquish our accident of birth derived American citizenships. America is and has been mostly always about money and the acquisition of it and the stuff that can accompany having wealth. Being so, it makes sense that those who buy whole-heartedly in the myth of the America Dream would see those of us who leave as being money/stuff traitors. What other reason than wealth would propel us to leave the richest most bestest nation on the planet? Nothing is as important as dinero and toys after all. It could well be that Saverin was motivated to renounce because the hassle of yet another citizenship obligation – including taxes – got to be a bit much. My personal guess is that someone who has lived in more than one country has a world view that allows him to see that America is not the only desirable place in the world to call home and therefore doesn’t see the loss of legal status as a tragedy. It’s not like he is poor Nolan, stateless and barred from contact or news. I am sure he still has his Facebook account to keep him in touch and if not, there is always Twitter. I have never been under the illusion that the United States is the only nice place in the world to live. It’s not the only democracy or the only place with indoor plumbing. Though some of those in my native land fervently believe otherwise. Canada is not the armpit of the Americas nor is it some red-haired step-child longing to be like its geographically smaller sibling to the south. While I admit that those who renounce due to the onerous filing obligations to the IRS have a valid point, I am financially insignificant enough that my husband can still navigate my taxes every year, but that’s not the case for many others. 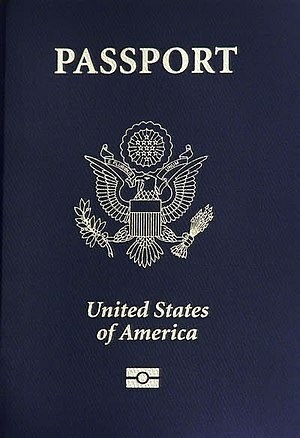 It’s especially onerous, and not fair, to expect dual citizens to file taxes when they owe nothing – as is the case with many dual U.S./Canadians and the expectation that those who are married to non-U.S. citizens hand over their spouses private financial information can’t be considered okay no matter how the U.S. government tries to spin it. Saverin’s case though prompted an additional slap at ex-pats in the form of a bill introduced by two Democrats called the Ex-Patriot Act, which would de facto label any U.S. citizen who renounces as a tax cheat and bar them from ever stepping foot on American soil again. The IRS will be the final arbitrator as to the whether or not the renunciate has a “good reason” for leaving (apparently marriage, children, having a life will not count) and everyone who lives in another country, whether as a permanent resident or a dual citizen will be treated as some sort of traitor to Uncle Sam. At least that’s my understanding. And given the comments of my fellow Americans, most of completely fine with this idea. I came to Canadian because the man I loved, and was planning to marry and spend the rest of my life with, is a Canadian. Our life, quite frankly, trumps all other considerations including my birth on Plantation America. I became a landed immigrant not quite four years ago and am eligible to apply for citizenship now. My reasons for becoming a Canadian came home to my quite clearly during the last provincial election here in Alberta. I want to vote. This is my home and I want to have a say in what happens. In fact, when I read about the special ward election coming up, due to our ward councillor being elected as an MLA, I realized that only my lack of citizenship stood in the way of my running for that office. Not long after Dee started school, she asked me about a line in the anthem that they sing at the beginning of each new week. I have known this was coming for a long time. A day when I felt my loyalty lay more with my adopted country than the one I was born in. It doesn’t pain me to begin to take the steps. It does irritate me that I am wrongly attributed base motivations for doing so. It probably pisses Eduardo Saverin off too, but as I don’t know him anymore than Sen Schumer does, I won’t cast him the villain. Of course, I don’t have a reason for grandstand pandering like Schumer does because I am not a politician. Yet. I’ve been reading George R.R. Martin’s A Song of Ice and Fire series, known more popularly as Game of Thrones. One of it’s often repeated lines is “Winter is coming.” It’s the family motto of the Stark family, who has ruled in the North forever and a day at as the story begins and it is meant to remind them that the season is more than just cold, snow and ice. Its application is deeper than simply the superficial preparations that are important for survival in the frigid northern terrain. It’s about vigilance, internal fortitude and looking beyound the obvious to see what is really coming. Late February, even in a mild winter such as the one we are enjoying, is the time when winter feels as though it has always been. Green, leafy and blooming is forgotten as though it never happened last year at all, and in some respects it didn’t thanks to the endless rainy spring that drowned much of June and July. In our neck of Alberta, “winter is coming” could almost be read “winter is” and be done with it. Regardless of when the snow falls, at the end of February, we are still a good two and a half months from the outer limits of winter and snow can fall as easily in July and August as it can in January. It requires a special kind of endurance to live with winter hanging over one’s head all the time, taunting and sure of itself. It snowed over the weekend and again this morning. 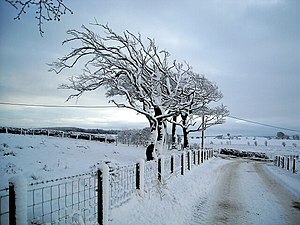 We haven’t had snow if a while, but even with the oddly warm temperature, snow and ice cling stubbornly to the ground. No matter how optimistically I begin, the Iowa girl in me misses March’s first promise of spring. As the time approaches for either lion or lamb to enter the building, I begin to feel as though I am living in Martin’s vision of an endless winter without even the promise of dragons or magical swords to subdue it. On the prairie, a shifting wind signals change. The wilder the wind, the most significant the change and direction counts too. Typically, the biggest change is in temperature, but the wind gusts, bellows and batters regardless of the highs or lows it is carrying. During the night, the wind picked up and began rattling this old house again. The first indication that Not Winter was about to be booted was a gust that swept the idle snow shovel off the back deck, resulting in an unsettling crash that sent Rob in search of the source. A noise has to be disturbing on an emotional level to rouse him to investigate. Throughout the wee hours, the wind gathered fury. Windows rattled. Timbers creaked. Sleeping as we do on the upper level imparts the false impression that we are at the mercy of the elements. The wind is especially good at reminding us that no structure is really all that impervious. Winter and Not Winter (I haven’t decided if it’s Fall who hasn’t left or Spring that wants to come early) have locked horns again. Back in Iowa, this is the time of year when Spring will try to push her way past Winter’s defenses. She may even set up residence for a while, thumb her pretty nose at Winter’s ruddy one, but she never outlasts him. Here, January thaws have not been much in evidence since we moved up from the States. Winter comes. It stays. And Spring loses battle after battle from March til early May when Winter simply can’t cope with the warming of the earth and the persistence of the sun anymore. Even then, Spring is a cool creature, whose idea of the season is decidedly out of character with this Midwestern girl’s recollections of her. Thus far, there has been little snow and much more ice than northern Canadians are accustomed to encountering. The lack of snow suits me fine. It will snow the first week of May, mark my words, so the longer it holds off, the less depressed I will be about it. But chilly and ice and damp wet, I can live quite nicely without. All it brings is ripe conditions for disease and allergies. It makes it impossible to wear my most comfy Ugg boats, causes my fingers and toes to ache and too rapidly depletes the washer fluid as I battle the big rigs that clog the main thoroughfares in town. Twenty something below tonight, they say. It will warm a bit and then plummet even further next week. The extended forecast is a flurry of flakes and bitter temps. This is January though. This is Winter. Not the mild-mannered impostor we’ve been entertaining since before the holiday. It’s fifty something (and that’s fahrenheit not our celsius) in Iowa today. Which is not unusual. It was nearly that in celsius here over the weekend. And that is odd, but not in a four horsemen kind of way. I prefer my slice of Alberta dry – for breathing related reasons – and if it comes with a side of really cold, so be it. With May not as far away as it was in November, I am ready for winter. Probably.